How you chose to live one day - is how you will chose to live your life. I am finding this to be both simple and true. All I need to do is just live one day well - then do it again the next day. I don't need to worry about "the future" or "becoming". I just need to BE and do it NOW. 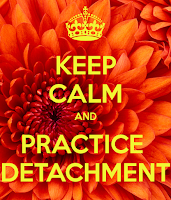 Yoga - that is, the Yoga of Practicing Detachment - guides me with clear intent on how to live one day, and thus, my life. My chronic habit is to "attach" and cling and hang-onto stuff and not let things go, Then, I judge and criticize and I worry and fret and end up in fear and it's awful. Had I just let go at the beginning all would have been well. But it takes practice - and that is the practice of Yoga. 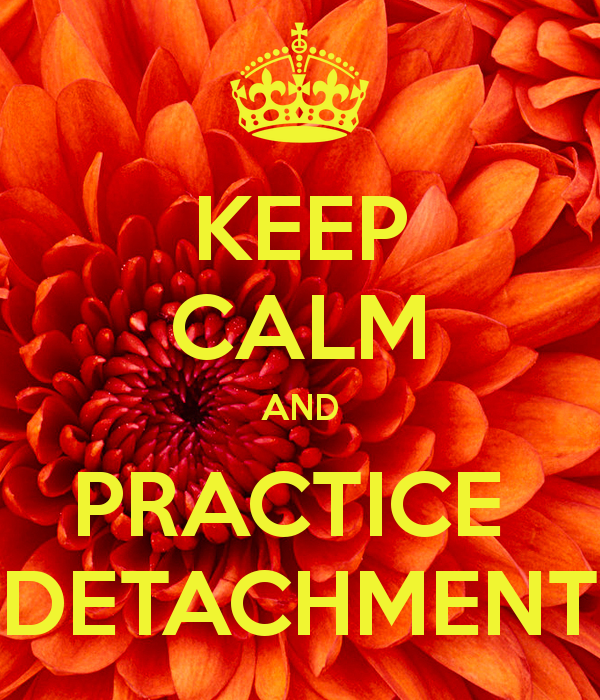 And doing that simple little thing - "detaching" - each moment - every day - day after day - creates a very powerful life. I must let go now.